Bacon, eggs, and cheese sandwiched between two cinnamon rolls. Your favorite breakfast foods in one delicious sandwich! Mike and I have a tradition of having breakfast sandwiches on Sunday mornings. Since Mike starts work insanely early during the week, and I don't have time for much more than a quick bowl of cereal or a smoothie, it's nice to take the time to make a special breakfast. In fact, in recent months, Mike has taken responsibility for making our Sunday morning breakfast. I get to play with Summer and he whips up breakfast. It's a winning situation for everyone! Typically, our breakfast sandwiches are pretty simple: eggs and cheese on a toasted English muffin. We have a neat egg cooker that makes it super easy to make eggs for the sandwich. If you don't have one, you could cook the egg in a ramekin or make an egg like an omelet and fold it up to fit on the sandwich. Anyway, for a few weeks I had an idea rolling around in my head to use cinnamon rolls in place of English muffins. On Easter Sunday, I decided it was time for my idea to become reality. I flattened a few Pillsbury cinnamon rolls before baking them. Then Mike cooked the eggs while I crisped the bacon. I topped our eggs with a slice of Sargento ultra thin cheese (courtesy of Influenster!). At the last minute I decided to drizzle a bit of icing over the cinnamon rolls.This was, without contest, the best breakfast sandwich I have ever had! In fact, just this past Sunday, Mike went to make our breakfast sandwiches and decided that we needed to have cinnamon rolls again instead of English muffins. He said, isn't that our new thing? Yes. Yes, I think it is! 1. Flatten cinnamon rolls slightly between your palms. Place on a greased cookie sheet and bake according to instructions on the tube. 2. Mix each egg with 1 Tablespoon of milk and cook. We use this Nordic Ware Microwave Eggs 'n Muffin Breakfast Pan and cook for 1 minute. You can also cook eggs individually in a ramekin or all together in a pan and then cut into 4 pieces. 3. Place cooked egg on top of a cinnamon roll. 4. Top with cheese, two slices of bacon, and another cinnamon roll. 5. Drizzle with icing and serve immediately. Posted by Melissa at 4/29/2014 08:10:00 AM 11 Yumm's!!! This Tuna Noodle Casserole is a delicious and hearty meal. It's comfort food at its finest! I feel like I've been in a dinner rut for a while. Mike and I tend to eat a lot of the same meals for dinner every week. Honestly, it gets a little boring, but it's pretty easy! A few weeks ago I decided it was time to make something different. I had some wedges of garlic herb cheese that needed to be used. After looking through my cupboards I discovered that I had the necessary ingredients for Tuna Noodle Casserole. While a meal both Mike and I grew up with, I had never prepared it myself. This meal was simple to make, and quick enough for me to make after work! Mike and I both really liked the casserole. In fact, while we were eating, Mike told me I should take pictures for my blog! So, after dinner I did just that! I hope you enjoy this meal as much as we did. 1. Cook noodles according to box directions until al dente. 2. Melt the butter in a large saucepan. Add flour and whisk to form a roux. 3. Whisk in the milk and chicken broth. Stir frequently until the sauce begins to thicken. 4. Add in the cheese wedges and stir until they're melted in. 5. Add the cooked noodles, mushrooms, sweet peas, and tuna and stir together. 6. Sprinkle Parmesan cheese on top of individual servings before eating. Posted by Melissa at 4/23/2014 08:23:00 AM 3 Yumm's!!! 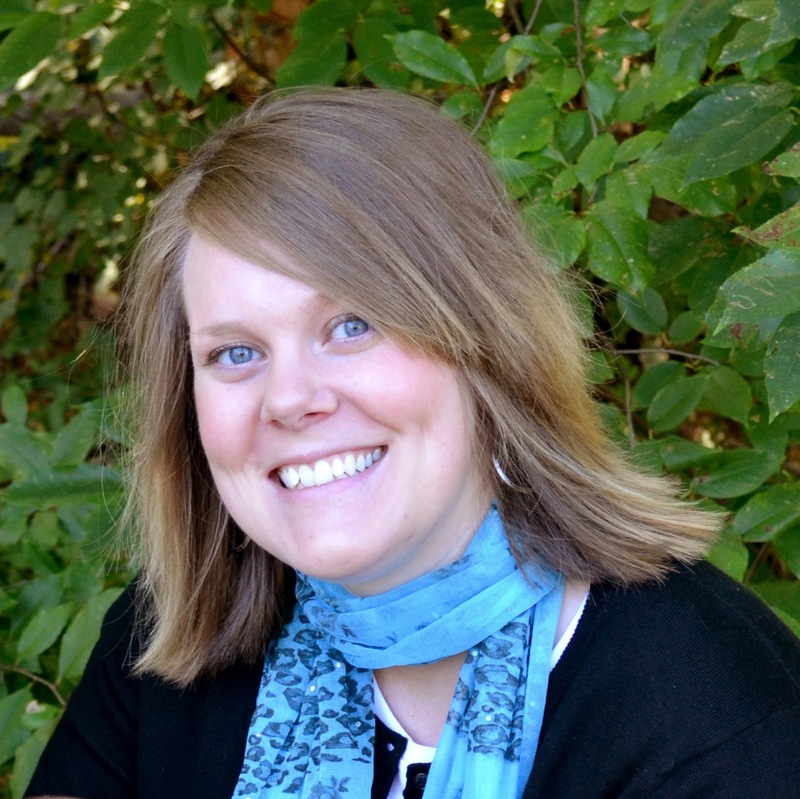 and the co-host for the Bloggers Brags Pinterest Party this week! What that means for you is that you are able to link up this week here at Melissa's Cuisine as well as at Creative K Kids and Denverista and OKC Mom of 3! Link up and tell your friends! 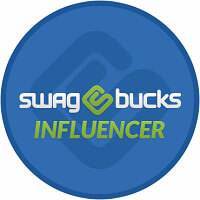 The most clicked link will be the featured blogger next week as well as have the opportunity to be the co-host! You can go here to see my post! Posted by Melissa at 4/21/2014 08:00:00 AM 0 Yumm's!!! This decadent chocolate mousse has a surprising list of ingredients! It's rich and chocolately and you'd never guess how healthy it is! One of my favorite things about the Secret Recipe Club is that I get a chance to step out of my comfort zone. This month I was assigned to a vegan blog, We Heart Vegan. At first I was a little nervous as a lot of the recipes were way out of my comfort zone. I love desserts, especially chocolate, so that was one of the hardest parts about my clean eating challenge. I continued to search Brittany's blog for the perfect recipe and when I came across her recipe for Vegan Chocolate Mousse, I knew I'd found it. I am using more and more avocados and this was a fun way to incorporate them into my diet again. I did find some other delicious recipes on We Heart Vegan, and I'm sure I'll be trying a lot of them! This mousse is smooth and creamy. It's extremely chocolately, and you'd never know it's made with avocado. I made mine in my food processor, so I was able to blend the avocado until it was completely smooth. Brittany gives directions in her original recipe if you don't have a food processor. I did find the mousse to be quite sweet, so I would recommend cutting the amount of sweetener down. I used agave nectar instead of coconut nectar because that's what I have in the house. If you think the mousse may be too sweet, start with a lesser amount and add more if necessary. Enjoy! 1. Remove the flesh from the avocados and cut into cubes. 2. Place all ingredients in your food processor and puree until smooth. Posted by Melissa at 4/21/2014 12:00:00 AM 12 Yumm's!!! These skinny brownies have just 3 ingredients and come together quickly! You'd never guess they're actually healthy! I love trying new things. As I mentioned a few weeks ago when I did my Avocado: Tips and Tricks post, avocados are a relatively new-to-me fruit. I first purchased a few to try as a first food for Summer. My basic rule of thumb is that if I won't eat it, she doesn't have to. So I had to try a bit of avocado before giving it to her. I've had guacamole in the past but I've never been a big fan of it, so I really wasn't expecting to like avocados. I was pleasantly surprised when I did like them, and I've made a few recipes using avocados since then. You just take 2 avocados and mash them up really good. I used my food processor to make sure there weren't any chunks. Avocado in brownies is weird enough, but chunks of avocado is brownies, no thank you! Then mix in a bit of water and the brownie mix. And that's it! Pour it into a pan and bake. These brownies are extremely fudgey! I think their texture is similar to a Lara bar (if you've had one of those before). They're dense and gooey. I opted to store them in the fridge since I wasn't sure how avocado would do sitting out on the counter. I loved eating the brownies cold. I would consider these brownies to be pretty healthy. The fat from the typical eggs and oil is replaced by good fats from the avocado. A large piece of brownie came out to be just under 200 calories. I figure that's pretty good for such a decadent snack! Not that I would know or anything! 4. Bake a 350 for 27-30 minutes, until a toothpick inserted in the center of the brownies comes out clean. Posted by Melissa at 4/16/2014 09:08:00 AM 8 Yumm's!!! Posted by Melissa at 4/14/2014 08:35:00 AM 32 Yumm's!!! These adorable Frosted Marshmallow Eggs are the perfect Easter treat! They're sugary, covered in sprinkles, and perfect for kids. I purchased a bunch of spring sprinkles on clearance last year. The good thing about sprinkles is that they last forever! Since I purchased them at the end of the season, I didn't have much of a chance to use them last year, so I thought before I miss Easter again this year, I better get busy. This recipe couldn't be any more simple! Take your marshmallow egg (or regular marshmallow if you can't find shapes) and cover it with a layer of frosting. I flavored mine with a packet of Duncan Hines frosting creations. I used bubble gum flavor, because who doesn't want to go over the top sweet? You can use any flavor you wish, or just use plain frosting. Then cover the frosting with sprinkles. Let the frosting harden and viola, you have a cute spring snack! 1. Combine the frosting and frosting creations. 2. Spread frosting on the marshmallows and cover with sprinkles. 3. Place marshmallows on a piece of waxed paper and allow the frosting to dry. Posted by Melissa at 4/11/2014 08:48:00 AM 2 Yumm's!!! Feeding your baby fruit and vegetables is a fun milestone for both baby and parents! Making homemade baby food is a fun way for parents to save money and serve wholesome foods. 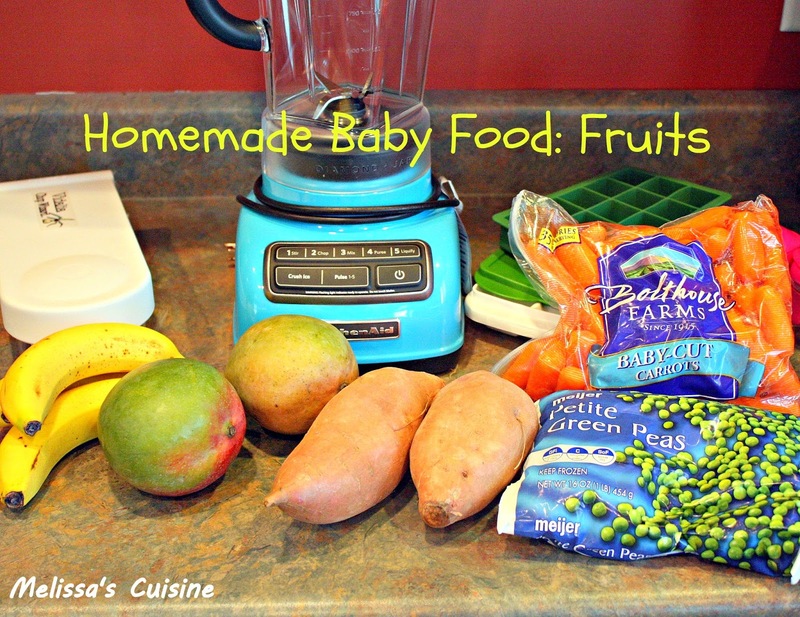 This post is the third in my homemade baby food series and focuses on fruits. Your baby is eating vegetables like a pro, now it's time to move on to fruits! Most people recommend starting your baby on vegetables first so they don't prefer the sweeter taste of fruits and refuse vegetables in the future. However, you must do what is best for you and your baby! I love fruits, and I have definitely found that Summer shares that love! When I am eating a banana she often opens her mouth for some too! Since bananas are so soft, I just pinch off a small piece and feed it to her. Most other fruits she gets in a puree for now. I have a feeling it won't be long before she wants actual pieces instead though! When preparing your baby's food, you can use fresh, canned, or frozen fruit. Unlike vegetables, most fruits do not need to be cooked before they are pureed and served to your baby. If you're working with a hard fruit, like apples, I have found it's easier to cook them until soft before pureeing. Otherwise, as long as your fruit is ripe, it should puree without a problem. After pureeing the fruit, reserve the amount you will be serving. Then pour the remaining amount into your storage containers. When you're ready to serve the fruit, thaw it at room temperature or microwave it for a few seconds. If you're heating food for your baby, be sure to test it first to make sure the temperature is appropriate. I usually feed Summer 3 or 4 blocks of food per meal. Your baby may want more or less depending on their dietary needs. 1 banana yields approximately 6 blocks of baby food. Cut bananas into quarters and freeze in a freezer bag. When you're ready to serve, allow the banana to thaw and mash with a fork. Alternatively, cut bananas into quarters. Puree in a blender or food processor. Peel and remove pit from the ripe fruit. Cut into cubes. Puree in a blender or food processor. You can also use canned peaches (I prefer fruit in juice). Drain the juice and puree the fruit. One (14.5 ounce) can of peaches makes 15 blocks of baby food. Peel and remove seeds from the ripe fruit. Cut into cubes. Puree in a blender or food processor. You can also use canned pears (I prefer fruit in juice). Drain the juice and puree the fruit. One (14.5 ounce) can of pears makes 12 blocks of baby food. Wash and hull strawberries. Puree in a blender or food processor. 1 mango yields approximately 9 blocks of baby food. Cut mangoes into cubes. Directions here. Puree in a blender or food processor. 1 avocado yields approximately 8 blocks of baby food. Cut avocado into cubes. Directions here. Puree in a blender or food processor. Peel and core apples. Cut into pieces and cook until soft. Puree in a blender or food processor. Posted by Melissa at 4/09/2014 08:34:00 AM 4 Yumm's!!! This Cheesy Chicken Panini is a delicious and quick lunch or dinner option. It's made on Dill Pickle Bread which gives it an extra kick of flavor! A couple years ago I received a 5-in-1 Griddler for Christmas. I had seen it advertised on television and decided it would be the perfect addition to my kitchen appliances. Plus, it would allow me to get rid of a couple other appliances, creating more room in my (tiny) kitchen. I love to use the grill for chicken, burgers, and hot dogs, and I often make pancakes on the griddle. Until recently though, I had never used the griddler as a panini press. I had a loaf of freshly baked Dill Pickle Bread on the counter and Mike and I needed a quick dinner. I grilled a chicken breast and sliced it up. I had also purchased a ball of fresh mozzarella cheese on a whim at the store. Since I'd never purchased fresh cheese before, I wanted to use it in something that would really allow the flavor to shine through. This sandwich is simple, but it is packed with flavor. The dill flavor of the bread is a delicious complement to the grilled chicken and melted cheese. Mike and I both enjoyed this sandwich; it was easy to make and full of protein. I know that now that we've created this sandwich, our panini press will be getting a lot more use! 1. Butter one side of each piece of bread. 2. Place the buttered side of the bread down on a hot panini grill. 3. Place half the chicken breast strips and two slices of mozzarella cheese on top of the bread. 4. Top with another slice of bread, buttered side up. 5. Repeat steps 2-4 to make the other sandwich. 6. Close the panini grill and cook for 4-5 minutes, until the cheese is melted and the bread is golden brown. 7. Remove the bread from the grill and slice in half. Serve immediately. Posted by Melissa at 4/07/2014 08:09:00 AM 5 Yumm's!!! Making baby food is fun for both mom and baby! It's surprisingly simple, and a good way to feed your baby wholesome foods. This post is the second in my Homemade Baby Food series and focuses on vegetables. My friends told me that babies just keep getting better; every stage is more exciting than the previous. At first I didn't think that was true, what could be better than a snuggly newborn baby? But then Summer became more alert, she started smiling at me, she learned how to roll over and how to sit up. Then I realized, it was true, she just keeps getting better! We're in my favorite stage so far. Yes, it's even better than all those newborn snuggles! Summer is sitting up, playing on her own, interacting with us, and eating meals with us. I really feel like we're able to be more of a family now because we are able to eat together, instead of having our separate meal times. Dinner is no longer interrupted by a hunger or tired baby. Instead, we put Summer in her high-chair and she eats at the same time we do. Last week I showed you some of the basics of homemade baby food. You'll want to check out that post to see what equipment I use for baby food preparation and storage. I mentioned that most people recommend starting your baby on pureed vegetables before fruits. I think this is a great idea, so the baby doesn't become so accustomed to the sweetness of fruits that they reject vegetables. In the interest of full disclosure, we started Summer on fruits first (due to personal needs). We have noticed that she is not a fan of vegetables. However, because I think it is important for her to eat vegetables too, I have started mixing a cube of bananas in with her vegetables. It helps to disguise the taste, and gets her to eat them! Preparing food for your baby is easier than you might think. In fact, you can often take a serving of what you're making and puree it for your baby. I like to make food in advance for Summer. I'll typically spend about an hour on a weekend preparing vegetables and fruit for the coming week. I freeze the purees in a variety of containers, some for on the go, and some for at home. If I freeze the food in an ice cube tray, after the food has frozen, I'll pop it out of the tray and put them in freezer bags. Then I label the bag with the name of the food and the date it was prepared. As far as cooking the food goes, choose a method that works best for you. If you typically steam your vegetables, steam your baby's. If you prefer to cook them in the microwave or on the stove top, go for it! You will want to cook the vegetables until they are extremely soft (probably softer than how you might eat them.) After the vegetables have cooked, allow them to cool before transferring them to your food processor or blender. Puree the vegetables until smooth. Most vegetables have enough water in them that you won't need to add any, however I have found that carrots are easier to puree if you add a small amount of water. After the food has been pureed, scoop it into the storage container of your choice. Food can be stored in the fridge for 2 days, any longer and you should freeze it. Freeze or refrigerate your food. When you are ready to serve frozen food, remove it from the freezer and place in a bowl. Allow it to thaw at room temperature for about 30 minutes, or thaw in the microwave if necessary. Most babies will eat food at room temperature, but feel free to heat it up if you want. Just be sure to check the temperature to make sure it is safe before feeding it to your baby! If the puree is too thick you can thin it out with a bit of water, prepared formula, or breastmilk. You can also mix vegetables and fruits to come up with flavors your baby loves! Below I have shared some of the vegetables I have made for Summer. These foods are recommended as the first foods to try with a baby aged 6 months or older. Come back next week to read about making fruit for your baby! Cook sweet potato until soft. Cut in half and remove potato from the skin. Puree in the blender or food processor. Cook peas until soft. Puree in the blender or food processor. Cut carrots into coins. Cook until soft. Puree in the blender or food processor. Add water if necessary to achieve a smooth consistency. If you're using fresh beans, cut the beans into small pieces. Cook beans until soft. Puree in the blender or food processor. Cook squash until soft. Cut into cubes. Puree in the blender or food processor. Posted by Melissa at 4/02/2014 08:31:00 AM 14 Yumm's!! !